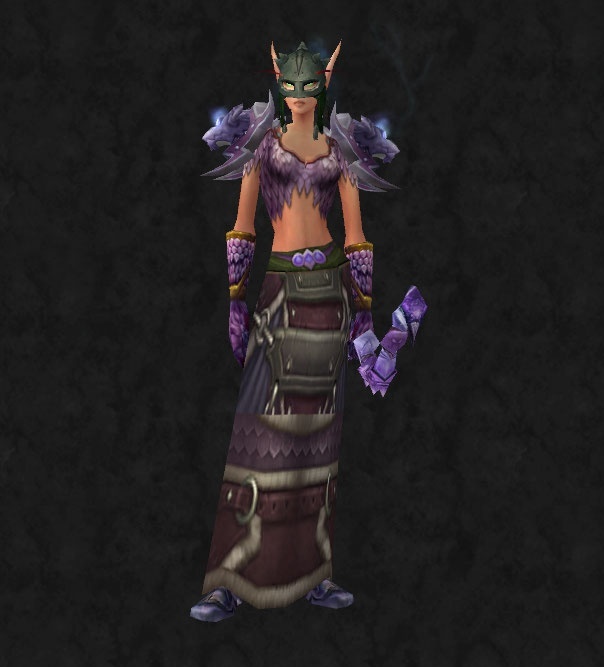 I’m secretly squeaking with glee at the thought of getting my hands on all the new Mists gear for transmogrification purposes but in the meantime I thought I’d share some of my Transmogolympic outfits with you. Rather than show all my nine outfits, I’m going to stick with the ones that my characters might potentially wear at some point. 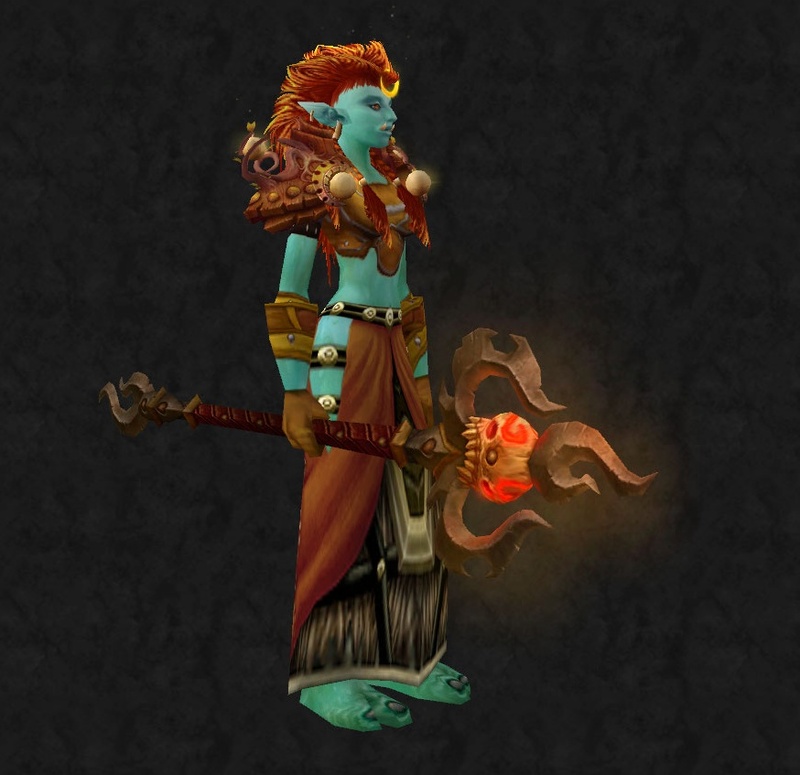 The javelin – modelled by my Troll Druid. 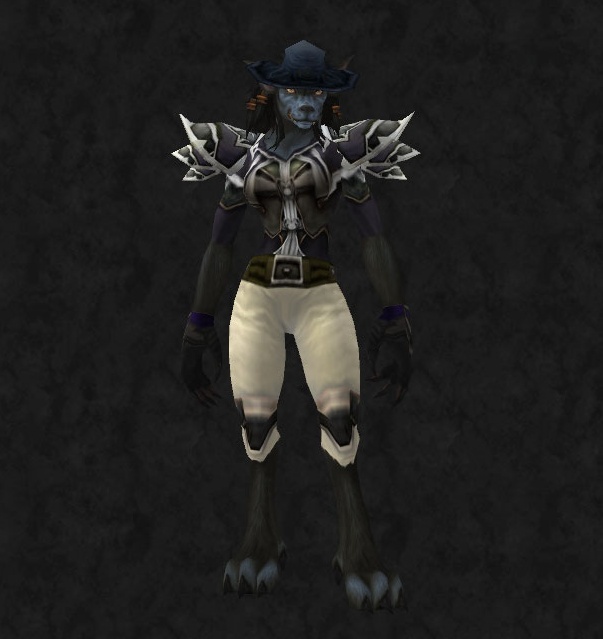 Horse riding – worn by my Worgen. 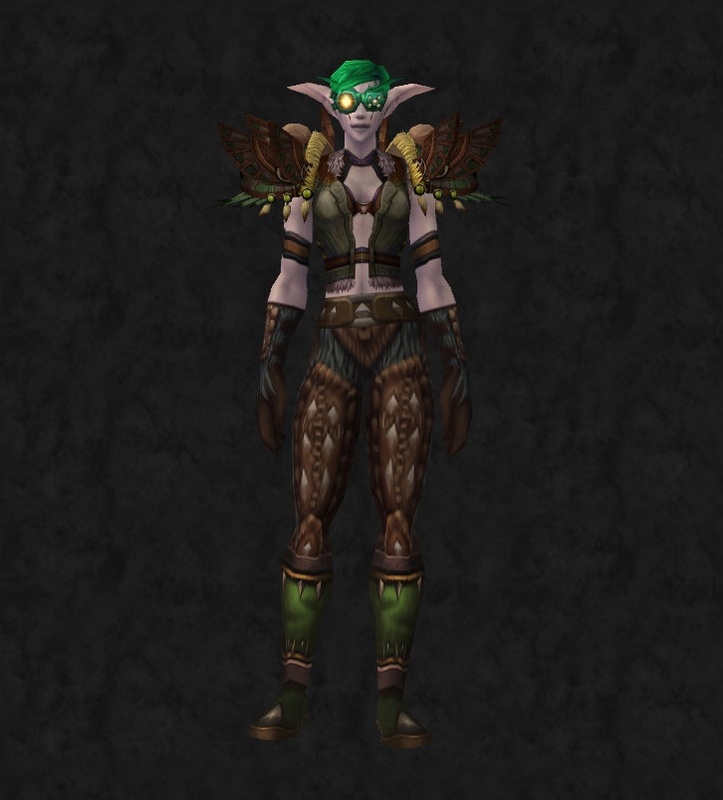 Cycling leathers – rocking and rolling with my Night Elf Druid. Of these, the equestrian and the cycling are probably my favourites. If I go Draenei with my monk which is a distinct possibility then I’ll definitely be working on farming her the cycling set. 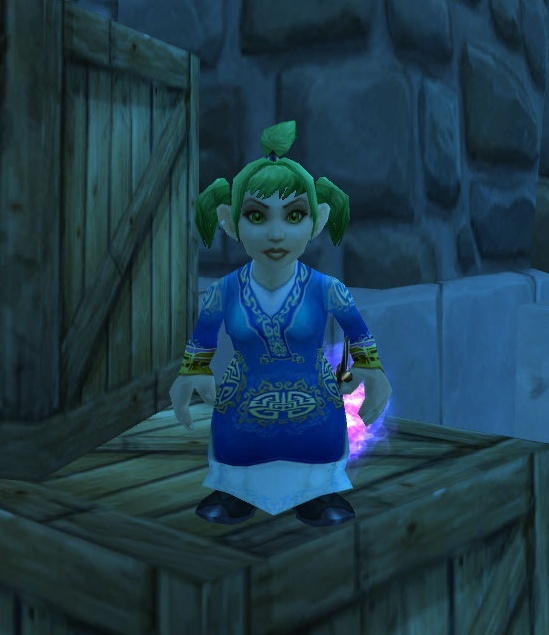 In the meantime I’m currently trying to match up a belt and shoulders to go with my new robe (Scarlet Monastery, drops from the gentleman who replaced Doan and whose name I can’t remember). 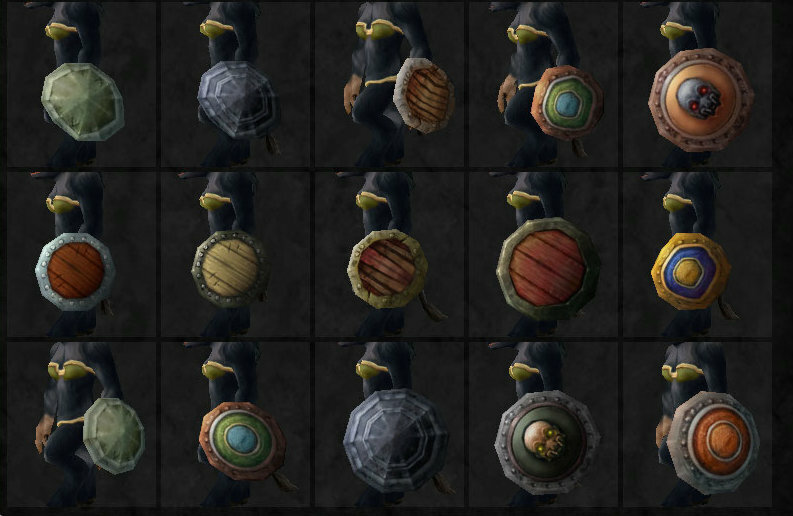 We casters really need our version of the Death Knight starter zone belt, one that doesn’t overlap any fancy designs on roles. Any suggestions would be received with open arms. Wrestling – We’re going to deviate from olympic wrestling and go to the sports entertainment aspect instead. 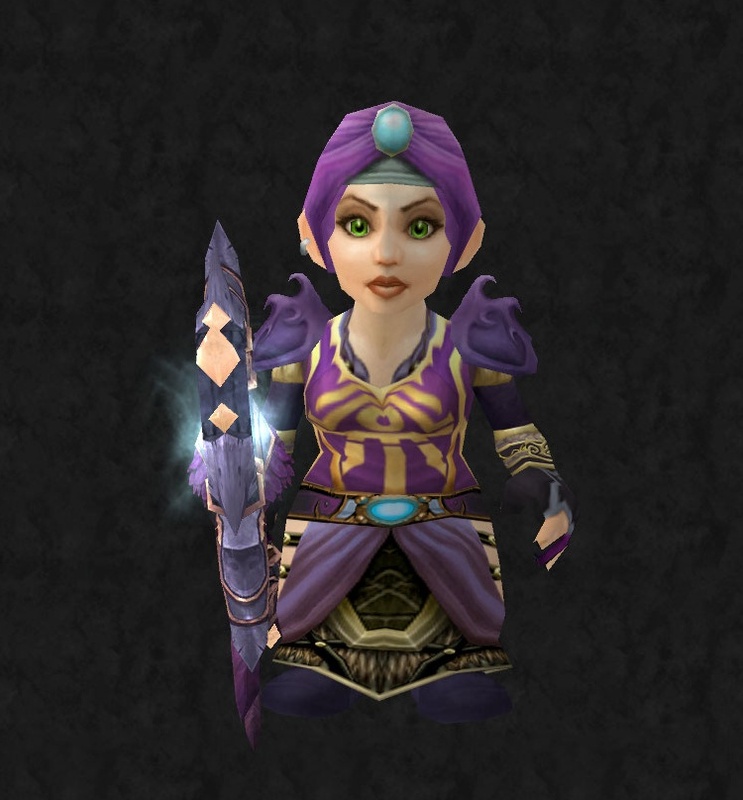 Using one of the “championship” belts, design your own Azerothian pro wrestler. Think of the oversized belts, such as the Firemend Cinch. Freestyle – Build your own NPC. However as with every competition, everyone needed a faction (or country) to represent and these are drawn at random. I drew the flag of the Kirin Tor and will be endeavouring to do the Mages proud. A list of whom everyone else is representing can be found here. There is also room for lots more people to join in the fun, so come on, sign up today. The other categories won’t be shown here as they will be submitted to the judges anonymously. *There are two Scots slang words I happen to like a lot, Laldy which mostly means to do something with gusto, to put a lot of effort in and Peely-wally which is one of my best friend’s favourite all time words and means to look off-colour, to be pale.